1957 Viceroy Cigarettes original vintage advertisement. 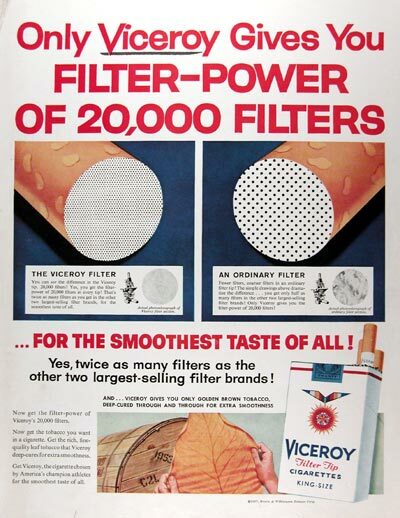 Only Viceroy gives you Filter Power of 20,000 filters for the smoothest taste of all! Yes, twice as many filters as the other two largest selling brands.